Between 1990 and 2013, the percentage of three- to five-year-olds enrolled in U.S. preprimary programs increased from 59% to 65%. Parents who want to ensure a high quality education for their children will often opt to enroll their little ones in academic or play-based preschool programs. As you start to delve into your research, you may realize that there are several different preschool philosophies to choose from. These methods are used by preschool teachers all across the nation — and while all of them have their distinct benefits, not every one will be the right fit for your family. 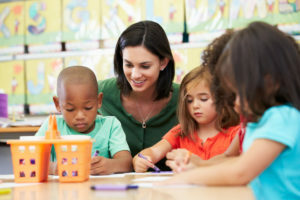 Let’s take a closer look at some of the types of preschool program philosophies you’ll likely come across during this process. This type of preschool program gets its name from Maria Montessori, an Italian physician and educator, who founded this movement in the early 1900s. The main idea is that each child is an individual learner and that their personality is developed through sensory learning and hands-on activities. However, these activities are generally more work-based than play-based. Montessori preschool teachers gently encourage students to take care of their needs and belongings, as well as to reduce errors, improve concentration, and support each others’ learning endeavors. 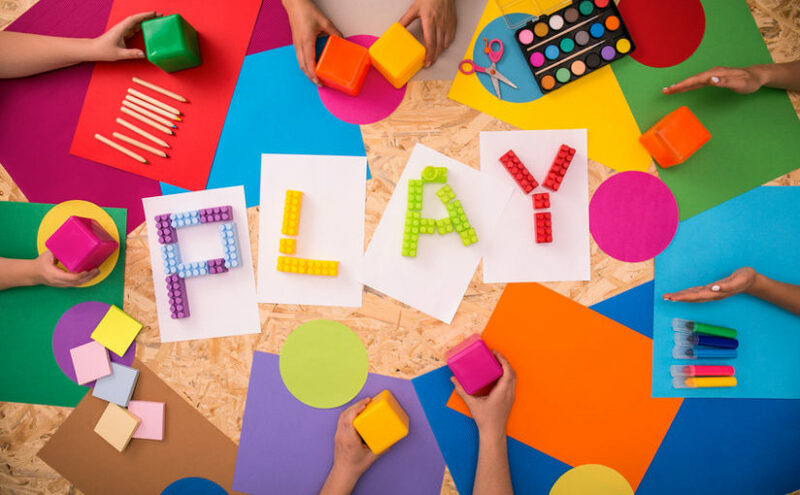 The play-way method puts an emphasis on learning through playing. 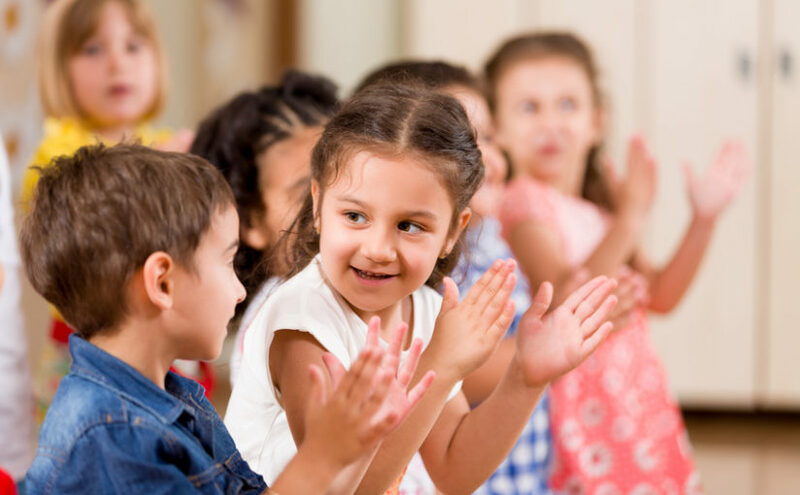 Preschools that adopt this philosophy believe in the importance of activities such as role playing, singing and music, free play, virtual games, group story time, and other hands-on activities. The focus here is on the needs of the students and how the activities performed can address those needs with no pressure. There are some play-based preschools that combine this philosophy with others for a more balanced curriculum. This teaching method, which first was developed in Germany during the early 20th century, focuses on growth through imagination. Reading and writing are not introduced until later on, as this philosophy emphasizes oral education and creativity. There’s also an emphasis on consistent routines, familiarity, and long-term bonds between teachers and students. Preschool activities in these environments may include play-acting, story-telling, nature walks, singing, playing games, making toys, and even cooking. This philosophy aims to help students develop emotionally, physically, and intellectually. Like the other Italian teaching method we previously mentioned, the Reggio Emilia method believes in allowing students to take a leading role in their own learning and teaching students through activities. However, the underlying approach of Reggio Emilia is that this way of learning allows children to make their own place in society by forming relationships, prioritizing communication, and promoting spontaneous curiosity about the world. The preschool classroom has the material to jumpstart the learning process, but children are guided to create projects that speak to them. These schools give high priority to creative endeavors such as music, dance, art, and writing, and their projects are well-documented to allow both teachers and parents to review the students’ progress. The High/Scope method is one of the newer preschool philosophies, as it was developed in the U.S. during the 1970s. These programs are academic-based, rather than focusing on social or emotional development. Active participatory learning is the main focus here, which allows students to learn collaboratively and make independent choices about their experiences. There are consistent routines and planned activities in subjects like reading, science, and math, but there are also creative activities like storytelling and singing. Often, these programs are recommended for at-risk children and those who need one-on-one attention. Bank Street method preschools focus on child development through hands-on activities that allow students to experience and solve problems (such as puzzles, building blocks, and clay). These kinds of programs regard students as active learners who also participate in social science lessons, cultural lessons, science lessons, and imagination-based play. Preschool teachers guide the students, who may work either alone or in groups; the students themselves set the pace for learning. These are by no means the only types of preschools you may find during your search. In fact, many preschool teachers and facilities embrace a combination of these philosophies in order to reach all different learning styles. To find out more about our curriculum or to schedule a tour of our facility, contact us today. Now that September is well underway, your child might already be spending their mornings or afternoons in their preschool classroom. However, adjusting to preschool can be tough for many kids (and their parents! ), even after a few weeks’ time. Whether your child recently began school or you’re looking ahead to next year, you may have concerns about their adjustment to the new changes. These transitional tips can be a good place to start. Before your local preschool program actually starts, you should take the time to visit the facility and get to know the teachers. A little bit of familiarity can make a world of difference in your child’s experience during those first few days. Your child can get to become acquainted with the activities and the schedule while still having you close by for their comfort. Then, by the time class is actually ready to begin, they’ll feel more equipped to make the transition even without your presence. School comes with a whole new set of routines. This new schedule will likely impact when they (and you) get up in the mornings, the breakfast regimen, how long they’ll spend in the car, and what kinds of activities they’ll do during the day. It may not seem like a big change to you as a parent, but remember that you’ve had to adjust to new routines throughout your adult life. You’re used to it in a way that your child is not. That’s why you shouldn’t expect your child to be at their best if you wait until the last minute to implement these changes. By gradually switching up their routine to accommodate these shifts, their transition will be much smoother. This gives you the opportunity to establish new traditions, make the most of your time together, and take all the changes in stride. If your child tends to be quite attached to their family members or dislikes changes in their routine, it may behoove you to keep the lines of communication open with their preschool teacher. Although 68% of four-year-olds were enrolled in preprimary programs in 2013, that doesn’t mean that all toddlers are able to roll with the punches right away. You may want to talk with staff members before and after classes begin to ensure your child is adjusting and discuss strategies to ease their transition on a continual basis. If you observe behavior that makes you believe your child isn’t adjusting as well as they might, don’t hesitate to talk to their teacher and assess what steps everyone can take to make some more progress. Remember that both inside and outside the preschool classroom, changes don’t happen right away. Don’t be too quick to come to the conclusion that your child isn’t ready for the preschool classroom or that you’ve chosen the wrong school. These are big adjustments for little ones who don’t have a lot of life experience. Even when you’re armed with all of the best back to school tips, these transitions do take time. Try to remind yourself of that and maintain a positive attitude throughout. Every child will learn and adjust at their own pace; practice patience and don’t get discouraged if your child is having a tough time with the transition. Eventually, your child will flourish — especially if you maintain an open mind and continue to encourage them throughout their educational journey. Although this time of year is full of the excitement that comes with new beginnings, all these changes can be overwhelming for many preschoolers. If you follow these tips and make an effort to ease their transition into the preschool classroom, you’ll set them up for success. Summer may have only just started, but In 2013, approximately 42% of three-year-olds and 68% of four-year-olds were enrolled in preprimary programs throughout the United States. Although the majority of parents plan to enroll their children in preschool, knowing exactly when to do so can be a bit of a challenge. How do you know if your child is truly ready for the preschool classroom? While every child develops differently — and every school has different requirements — the following preschool checklist can give you a pretty good idea about whether your family should start exploring local preschool program options this year. Your Preschool Checklist: Is Your Child Ready? During this early phase of life, your child won’t be expected to come into the classroom with a certain reading level. It may help if they can display certain signs of readiness in this area, including trying to write their name, doodling or scribbling, attempting to write down numbers, holding writing utensils, recognizing certain letters, holding a book properly and/or turning the pages, and simply enjoying having a book read to them. These signs indicate an eagerness and an affinity to make progress in the classroom. In terms of physical development, parents should be on the lookout for certain signs of preschool readiness. Although you might not think that bouncing a ball or playing a game of catch could indicate that your child is a good candidate for preschool, mastering tasks like these can actually tell parents a lot. The ability to put together an easy puzzle, playing with building blocks or LEGOs, jumping on one foot, riding a tricycle, tying shoelaces, cutting with scissors, or enjoying outdoor playtime can all point towards a child being ready to go into the preschool classroom. our child’s growing ability to use their imagination and explore their own curiosity about the world may play an important role in your preschool checklist. If they’re eager to use a variety of materials and tools to create pieces of art, show a basic understanding of shapes and objects, likes to imitate their favorite songs or rhythms, participates in dramatic play or likes to play pretend, can recall short sequences, matches objects, or shows an interest in how objects fit together and function, these are all great signs of early development. Remember that there’s a lot that can be discovered through play, so be sure to engage their interest in these areas on a regular basis. Even at this young age, your child might start to show initial signs of independence and social development. For example, their initiation and maintenance of independent play and their willingness to spend time without their parents (at a relative’s house, a play date, or even while getting dressed in the morning) can tell you that they’ll be a great fit for preschool. Responding well to routines, expressing their emotions and needs through their words, taking turns and cooperating with others, enjoying group activities, and following instructions consistently can also indicate this to you. Most of the suggestions included in this preschool checklist are merely a good place to start. If your child possesses some of these skills but not others, do not be discouraged; your choice of preschool won’t discriminate against children who are still learning! But keep in mind that there are some milestones that may be requirements for preschool: namely, being potty-trained. Some preschools are willing to be flexible on this, while others request that all students will have at least made substantial progress in this area. Be sure to ask about this at every school on your list and work on this skill at home during this process. Every parent’s preschool checklist for student readiness may look a little different, depending on that child’s development and your school. These points can be a helpful jumping-off point for families who are unsure about whether to start the application process or wait another year. Summer may have only just started, but many families are already looking forward to fall. If it’s almost time for your child to start attending preschool, you may be overwhelmed with the process of deciding on a school and enrolling. Knowing what to look for in a preschool can be tough enough, but submitting enrollment forms and waiting to hear if there’s a spot open can be downright nerve-wracking. The following list of tips and tricks will help take some of the mystery out of this process and help you feel totally prepared when enrolling in local preschool programs. Before you inquire about enrollment, you’ll need to determine what’s actually important to your family. Do you want a local preschool program with a distinct focus on academics, or would you rather the emphasis be on playing and learning? Would you rather the class sizes be small and separated by age group? What kind of schedule would work best for your family? Once you can answer these questions, you’ll be able to narrow down the possibilities and really zero in on the programs that make sense for you. Now that you’ve eliminated certain schools and piqued your interest in others, it’s time to take a tour. When you tour a preschool, you’ll be able to see how the other students interact with each other and how the teachers engage with them. You’ll also be able to assess whether you feel the facility is safe, healthy, and a good environment for learning. Typically, you’ll want to sign up for tours in advance (they often begin in early fall) to give yourself enough time to visit all of the schools on your list and decide whether you want to go through with the enrollment process. Although three-fourths of young children in the U.S. participate in local preschool programs, that doesn’t always mean that they’ll get in the first time around. With so many families trying to enroll, it’s understandable that programs fill up very quickly. Keep in mind that enrollments are usually accepted between December and February, so make every effort to reach out as early as possible. 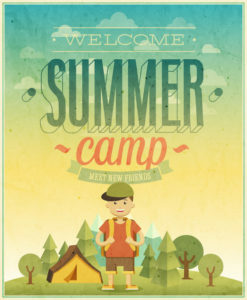 Some preschools will also host summer camp programs for young children. This can be a great way to get your child involved in their curriculum and get to know the program teachers there. Summer camp enrollment is typically a bit less stressful than the process of enrolling in a preschool. Plus, it’ll give both you and potential teachers a good indication about whether your child is ready for preschool classes. Whether you enroll in school the following year or want to take a chance to see if a slot has opened up, going this route can help you make a memorable impression. Enrolling in local preschool programs can be a lengthy process. But as long as you’re well-prepared, you’ll be in great shape when it comes time to take a tour and enroll. To find out more about our programs, please contact us today. What Makes a Preschool Curriculum Better Than Just Good? Childcare centers, academic preschool programs, and parents alike have a common issue: what curriculum is right for my children? Sometimes it behooves preschool teachers to consider a curriculum specifically for their students because these early years are developmentally crucial. Let’s face it — they’re not college students. They lack the independence to choose a curricular path that best suits their learning styles. This leaves preschool curriculum in the hands of parents, teachers, and administrators. What does a good curriculum look like? How do you develop good curriculum? These are driving questions behind an increasing demand for high-quality education from early childhood forward. From 2016 to 2026, the employment of preschool educators is slated to increase by 10%. This research shows now, more than ever, the importance we place upon early childhood development. Part of this process is the development of great curriculum. This is what it looks like. Child-first, always: It may seem obvious, but putting children first remains one of the most prevalent problems in curriculum development. Childcare centers and preschool teachers (parents are guilty, too) often think about curriculum that they want to teach rather than how the children will learn from it. A proper curriculum must be developed around the children and that looks different per classroom, per child, per day. Differentiated: Jumping off from child-first curriculum as a whole, lessons must be specifically differentiated. That’s an education buzzword that means it must fit different learning styles. Children all learn differently, but the tough part of the preschool age is this: they’re still in the stage of learning how to learn. It’s a little metaphysical, but entirely true. Not only should a curriculum look into different learning styles, it should teach different approaches to learning as a whole. Think of it as exploratory personal academics. Expert developed: Listen carefully: your favorite bloggers and Insta-families aren’t education experts. Leave the curriculum arena to experts in education and early childhood development. We have no problem with blogs or family pages, but they cannot and must not replace curriculum properly formulated by subject and age group experts. Too many childcare centers hash together “curriculum” haphazardly. Some of the most important initial learning will come to your children during these early years. It may not seem so, but they’re sponges and when a curriculum is well-developed and formulated to tend a child’s growth, they blossom beautifully. Is the process arduous at times? Of course. It’s education. Balanced difficulty begets learning and when nurtured properly, they’ll be outsmarting you before you know it. By 2013, the percentage of three- to five-year-olds enrolled in preprimary programs reached 65% in the United States. Finding a local preschool program that fits parents’ criteria is the biggest challenge. 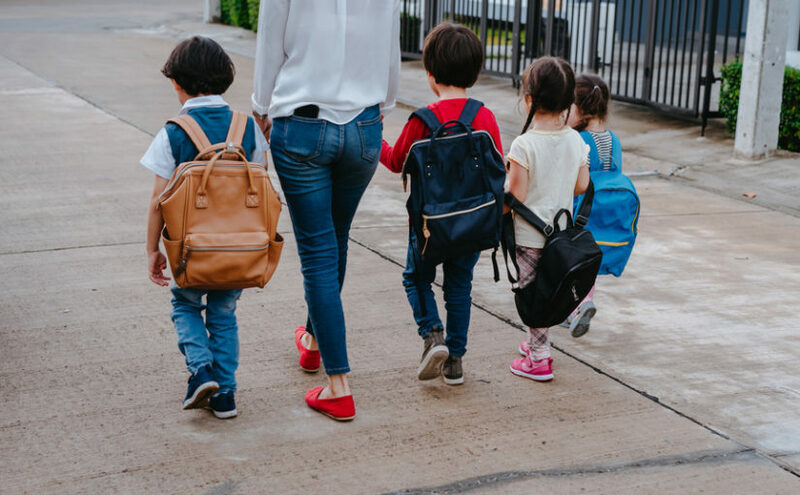 Before families tackle that problem, they may need to ask themselves: “Is my child ready for preschool in the first place?” Ultimately, the answer to that question can be answered only by the parents themselves. There’s no one right or wrong here; it really depends on the individual child, as each student will develop at a slightly different pace. Although every child is different, there are a lot of common situations that affect families and that prompt this question. We’ll explore a few of these today and provide some guidance that should help you make this determination. The truth is that most facilities will require students to at least be on the road to being completely potty-trained. It’s not a rule that’s set in stone, but you’ll likely find that it’s a requirement for the majority of preschool classrooms. You’ll need to take an honest assessment of where your child falls in the process of potty-training. If you’ve made a lot of progress but they still have the occasional accident, they’ll likely still be a good candidate. However, if they’ve made very little headway and are still in diapers, you’ll probably need to hold off another year until they feel more comfortable. Separation anxiety can impact both children and parents quite a bit. But as an adult, you’ll have the coping skills to deal with it in time. Children who are particularly attached to their parents and who have spent very little time away from their families may have a rough time with this transition. That’s not to say that it’s ill-advised, but you can help both you and your child by cutting the proverbial cord a bit. If your child hasn’t spent much time with a babysitter or relative, you may want to work these times in to get your child more used to being away from you for periods of time. Letting them adjust in small doses can do wonders and can allow them to ease into preschool seamlessly. One of the benefits of preschool is that it helps young children become more independent. You shouldn’t worry too much if your child hasn’t had many opportunities to think and act independently. Keep in mind that preschool does involve a lot of individual tasks, though. Children who happily entertain themselves and can focus on a task alone will often do well in preschool. Solo play can help prepare your child for how different their preschool schedule can be. If your child needs constant attention and asks for help with every task, you can help ready them for preschool by building up longer solo play sessions and encouraging them to focus on a single “assignment” (like doing a puzzle, coloring in a coloring book, or making something out of modeling clay) while you take care of a household task nearby. Although they can always ask for help (from you or their teacher), fostering independence will prepare them for what’s to come. Ultimately, there’s no one universal answer to the “is my child ready for preschool?” question. Only you can really assess whether it’s time to enroll. By taking a look at their developmental milestones, you’ll be able to decide whether to forge ahead or wait a while. If you’re a working parent, you’ll likely need outside help to make sure your young child is consistently cared for. While some parents rely on other family members or a live-in nanny to provide this assistance, that’s not always possible — nor is it always in the best interests of everyone involved. Many parents determine that enrolling their child in daycare or in a daycare alternative like preschool will be of great benefit to everyone in the family. However, even if your local preschool program or daycare facility provides a safe, healthy, and stimulating environment for your child, you may still wrestle with feelings of guilt. This is perfectly understandable and quite common. No one can determine what’s right for your family except you. If you have carefully vetted your choice in childcare center, preschool, or other daycare alternative, you’ll logically know that your child is in highly capable hands. Still, you may struggle with feeling like a “bad parent” because you won’t be caring for your child yourself at every minute of every day. It can be difficult to dismiss those feelings of guilt, but we’ve found that the following considerations can help. The time your child spends in the preschool classroom will be extremely valuable in preparing them for what’s to come. Around 51% of three- to five-year-olds attended full-day preschool programs in 2015, which may seem like a lot to some families. Enrolling your child in programs like these will make them a bit more self-sufficient and less clingy overall. It can be tough for both parent and child to let go on a small scale, but it’s an incredibly important lesson to learn. Although spending quality time with your child is vital, this time without you can allow them to grow in other ways. This will help them to feel more ready for kindergarten and beyond. There’s no doubt that your personal parenting skills will benefit your child, but there’s only so much they can learn from spending the majority of their time at home. When you enroll your child in a daycare alternative like preschool, they’ll interact with other adults and children their age. Their social development will grow by leaps and bounds, which can help them both at their local preschool program and at home. If you’re feeling overwhelmed with guilt when you drop off your child in the morning, remember that your decisions are actually going to benefit their development in countless ways. We’ve discussed just a couple of the ways that early childhood programs can promote development. Keeping these benefits in mind can go a long way in keeping the mom or dad guilt at bay, but they won’t always be enough for other people in your life. While most people do understand how great preschool can be for children, some may feel very strongly about caring for a child at home or through other daycare alternatives. If you find that friends or relatives feel the need to assert their own opinions about your family decisions, remember that you don’t have to invite that negativity into your life. Being able to establish some distance (even just momentarily when the subject arises) will let you prioritize the needs of your immediate family over the opinions of well-meaning family members and acquaintances. Although many parents would love to stay home with their children during their formative years, this simply isn’t possible for those who work full-time. However, it’s important to keep in mind that choosing a daycare alternative like preschool will provide countless advantages for your child and for your family as a whole. Letting go of that guilt starts with remembering how much your child will grow through their participation in these programs. To find out more about how our curriculum can help serve your family, contact us today. Preschool or Daycare: What’s Best For Your Family? Deciding on the right childcare option can feel like an overwhelming task for families with young children. It’s important to remember, though, that there’s no “one size fits all” solution here. Rather than thinking there’s a single winner in the preschool vs daycare debate, parents need to realize that the right choice comes down to the needs of the individual child and the family. Many facilities will even offer both options to facilitate an easier transition and increase their appeal. That said, there may come a time when you want to weigh your options. Instead of putting together a preschool vs daycare pros and cons list, we’ve put together some key factors you’ll need to consider when making your choice. Cost: While the price of your childcare option shouldn’t be the only consideration, it’s one that’s a big priority for many families. In some cases, there may not be that substantial of a difference in costs, which means your decision will come down to other factors. 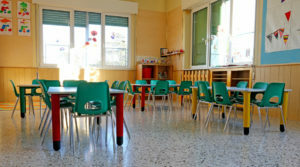 Ultimately, whether you choose daycare or preschool, your final choice needs to be affordable and worth the investment. A costlier program doesn’t always indicate quality, either. That said, there are often times wherein you will get what you pay for. You’ll want to take this figure into account, even if it’s not your deciding factor. Hours of Operation: In 2012, approximately 67% of children whose mothers worked part-time or full-time were enrolled in center-based childcare. Working parents will likely need to consider the operational hours of preschool vs daycare options on their list of possibilities. Typically, preschool programs have shorter hours every day; some offer both half-day and full-day sessions, but some programs don’t take place every single day. 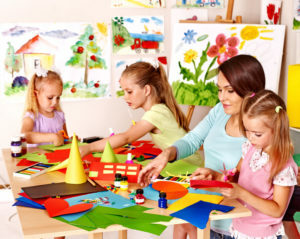 Daycare centers are often more flexible with their hours and will usually accommodate working parents. They also aren’t as likely to close for the holidays or school breaks. However, if extended or flexible hours aren’t especially important to your family, daycare alternatives like preschool might hold a lot of appeal. Enrollment Age: When trying to decide between daycare vs preschool, you’ll need to take the age of your child(ren) into consideration, too. Many daycare programs accept a variety of ages, from infants or toddlers to preschoolers (and even beyond, in some cases). Preschools, though, usually require students to be between three and five years of age. Some preschools may make an exception here and there, but they’re typically a bit stricter about enrollment age. Additional requirements for preschool often include potty-training and other abilities, so your decision may come down to age and personal development. While these are not the only factors to consider when deciding on childcare or early education, they often play a key role in making this choice. To find out more about our programs, please contact us today.